The Brijuni Islands were on my list for a long time. 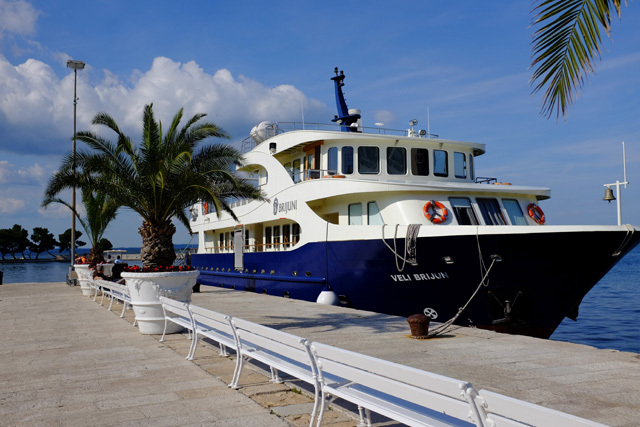 Finally on a hot day in May I caught the ferry from the small and colourful port town Fažana for the short trip to Veliki Brijuni. 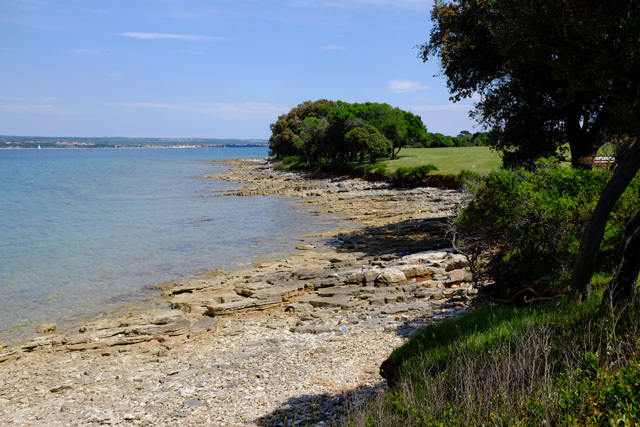 This is the largest of the Brijuni islands, a collection of 14 islands and islets. These islands were inaccessible during President Tito's rule during the time of Yugoslavia when they served as his summer residence. Today Veliki Brijun is one of Croatia's eight national parks covering 34 square km in total and is popular with day trippers. I was surprised by all this island of wild rocky beaches and lush parkland filled with ancient trees and exotic plants has to offer. There's actually plenty to see and do and the best way to get around this car-free island is to rent a bicycle. Golf carts are also available for families, groups, or those with limited mobility. There are guided tours aboard the tourist train but it's much better to explore the island solo. There's also a handy interactive guide that can be downloaded without charge using the park's free Wi-Fi. At the 100 information stations throughout the park, you can just point your mobile phone camera at the QR code to get information about the attraction in six languages. Much before Tito's time, dinosaurs used to roam here. You see proof of this as soon as you step off the ferry: there's a dinosaur footprint on the pier. One of the many marked trails that run through the park is the 'Promenade of Dinosaurs'. 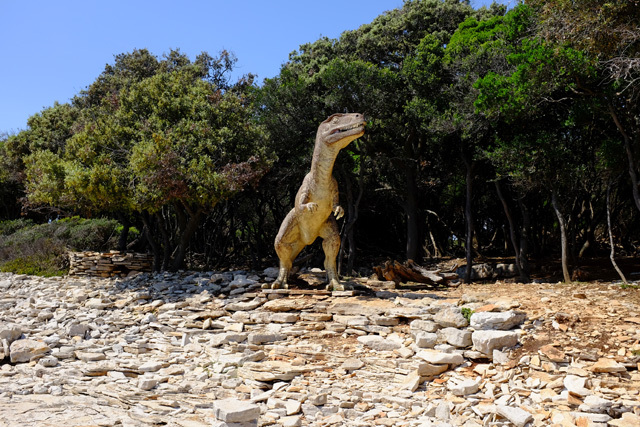 This one is especially popular with kids, who love looking out for the hundreds of dinosaur footprints clearly visible in the limestone of four of the island's rocky beaches. The island's many ancient ruins are remarkably well-preserved, with the most fascinating being the Byzantine-era castrum right on the edge of the sea. This maze of stone structures within fortified walls reveals the remains of brick ovens, olive and wine presses, cisterns and cellars, all part of a large settlement that existed here from the 1st to the 8th century. I'm not a fan of zoos but the safari park is huge: covering nine hectares, it has plenty of wide-open spaces for animals to roam. This is home to a motley collection of fauna (and their progeny) gifted to Tito by various heads of state. 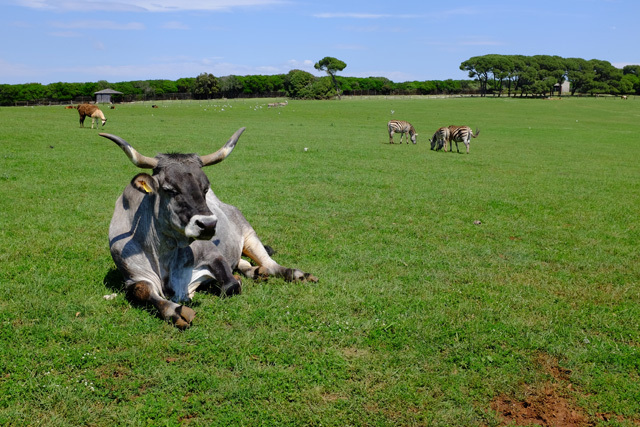 Zebras from Guinea, Somalian sheep, llamas from South America, Indian holy cows, and African ostriches all have their home here, as well as native goats and sheep, and long-horned Boškarin oxen. But I was sad to meet Lanka the elephant, one of the park's long-time residents. She was a gift from Indira Gandhi to President Tito and has been living in a grim-looking enclosure here since 1970. 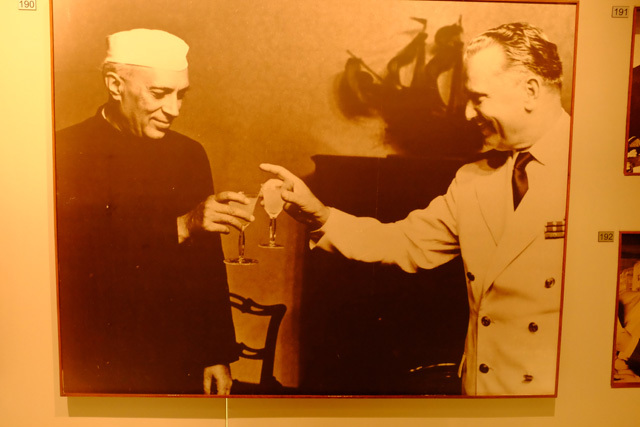 The Tito on Brijuni exhibit housed in the museum is a step back to another time and era. This is a collection of mostly black and white photographs documenting the year's Tito spent on the island receiving heads of states and dignitaries from 90 different countries, and schmoozing with film stars like Sophia Loren and Elizabeth Taylor. Other popular must-sees are the president's 1953 Cadillac and the island's best-known and most photographed resident: Koki, Tito's yellow-crested talking cockatoo. 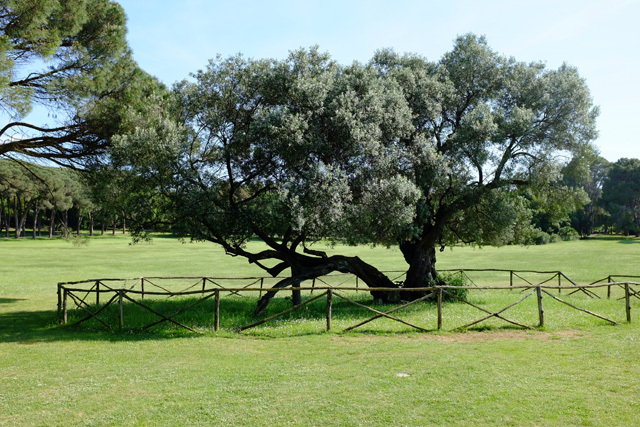 Another highlight is the island's massive 1700-year-old olive tree – proof that olive oil has been produced in Istria for centuries. The entrance ticket clearly states that swimming is not allowed, but this rule doesn't seem to be enforced. It's hard to resist the temptation of having a deserted beach to yourself! 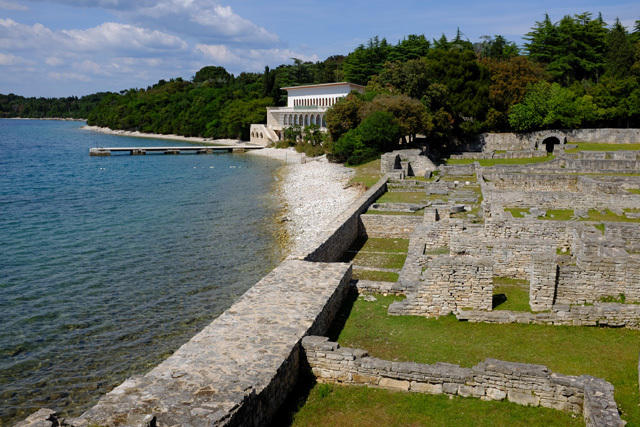 For more information on visiting Brijuni National Park, visit their website.